Investing new Transient Room Tax revenue in tourism promotion, emergency services, and the arts will enrich and strengthen our community and local economy. The Source suggested that we think about what we could do with revenue from additional TRT increases. 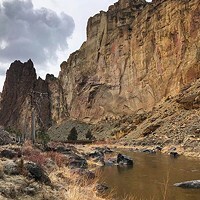 What about investing in the natural amenities that bring all those tourists to Bend and Deschutes County to spend their money in the first place? Our rivers and forests are in many ways the goose that keeps laying the golden eggs for us, drawing hundreds of thousands of visitors to Deschutes County every year. But as we've witnessed in 2012 and 2013, the golden goose has a tenuous existence. In October, we lost hundreds of wild trout in a fish kill in the Deschutes River because we couldn't keep the flow high enough at the end of irrigation season. Last fall, thousands of acres of forest on the edge of the Three Sisters Wilderness burned at unnaturally high severities because we had created overly dense stands of un-resilient trees through fire suppression and past management. As our community grows, scenic vistas and unique open spaces are sometimes lost to development. Restoring flow and structure to our rivers and streams can sustain and increase our fish populations. Restoring openness and large trees in our dry forest ecosystems can make them more resilient and let us experience some of the grandeur that early settlers experienced as we head down the trail. Acquiring strategic pieces of land for parks or open space helps maintain the character of our community and provides key access to special places. But restoration and land protection cost money and state, federal, and philanthropic funding can only meet so much of the demand. 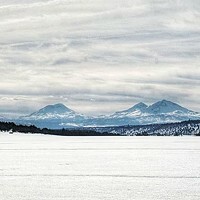 Creating a local fund for restoration and land protection would be a great way to honor the Central Oregon landscape that we all love and to demonstrate that we are serious about stewarding it. Having local dollars we could count on would also allow us to leverage even more state, federal, and philanthropic funding to invest in our home. I called my doctor upon returning home after this incident and she advised me to get to urgent care and get an x-ray of my hip, which I did. Thankfully, nothing broken. However, in the several weeks since the incident, I have been advised to begin physical therapy because my lower back is not in balance and to get a check up from an ear doctor because in falling, something has aggravated the tinnitus that I have. Now, there are several attorneys in Bend who advertise as being advocates for persons who have 'slip-and-fall' incidents. I have talked to all of them. I guess there is a very fine line as to who they will represent. Not only can I not get a video of the incident (which I feel I am entitled to see), I would also have to prove that WalMart knew the spill was there and ignored it. Therefore, they are not at fault. It doesn't even count that WalMart should provide a safe shopping environment. So no legal assistance. In the meantime, trying to come up with co-pays for therapy and an ear doctor is financially out of the question. Fixed income even with Medicare doesn't fit in the budget. Thanks a lot WalMart. Looks like you win again. And boo hiss to the so-called liability attorneys who don't seem to want to help. Its was a lofty, ridiculous and passionate dream to create a business based on community and love for adventure....Bike, beer, skis and coffee?, yeah right! Last Friday marked the first year of operation at Crows Feet Commons and I wanted to sincerely thank everyone who has become a part of the community created on the Mirror Pond Plaza. It has been a rewarding experience working with the City of Bend to help transform the Riverfront Plaza and see the Brooks Street Promenade become alive with passion again. I want to thank all of the staff for working toward a dream, although it wasn't their own. Also, the Source for always being supportive and helping to promote our events. But most importantly, I wanted to thank our customers: you are the reason for our success. Success is measured in Laugh Lines and the walls are still echoing from last Friday night. One of my classes here at COCC requires a work service project (basically a community service) in order to discover the joys of working in groups. To this end, my team and I have decided to host a blood marrow match drive during the Turkey Trot, an annual Thanksgiving run hosted by the school. I would be grateful for any opportunity to discuss the details of the project and the possibility of advertising it in your paper. The story on "The Appliest Place on Earth," just goes to show that computers will never replace a good teacher. Your spell check did not catch that the principal of a school is spelled "principal," not "principle" which is a fundamental truth. The error appears throughout the article. My 3rd grade teacher told her class that the principal of a school is a "pal" to all the kids. I'll bet no one in her class forgot that message. Eileen - Thanks for being a "pal" to us! We wish that were a spellcheck error; instead chalk it up to human mistake. And for your eagle-eye copy editing, we would like to offer you the open position as Copy Editor! (Please see the ad above.) Or, stop by to pick up a gift certificate for the now one-year old Crow's Feet Commons.